As I sit here in our staycation suite, thanking the little baby Jesus that I somehow – finally – MIRACULOUSLY got all three of my spawn to nap at the same time I can’t help but reflect on the past couple of days…and how freaking good they went. Sorry, this is going to be a straight up BRAGFEST up in here. Because my husband and I just spend three days at “The Happiest Place on Earth” and it was actually the Happiest Place on Earth. At least most of the time. Which got me thinking – why??? Yesterday we were in line to meet Mickey and behind us was the grumpiest person in Disneyland. 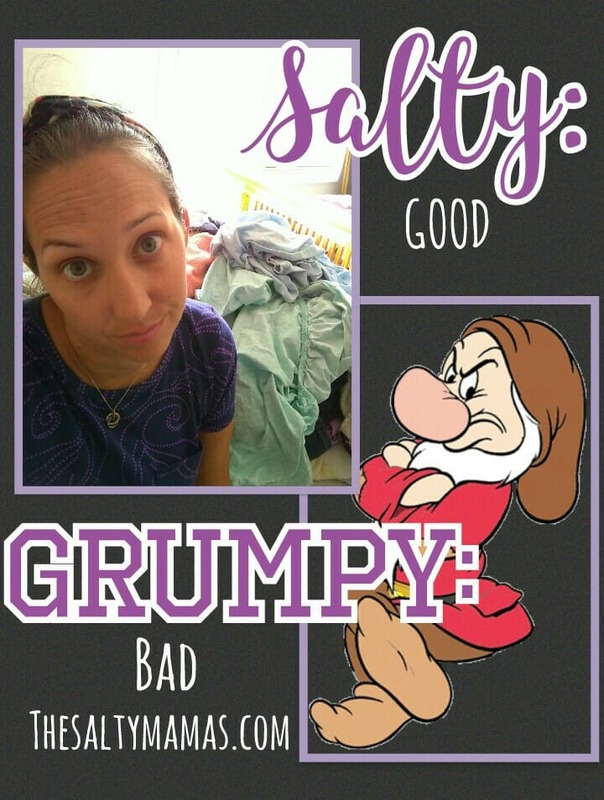 Yes, Grumpier than Grumpy himself. She grumbled all through the line to see the Mouse about how terrible the day had been. Someone asked her if it was the people? The crowds? No, it was EVERYTHING. Well listen, we go to Disneyland a lot. And yes, it was hot as hell and it was crowded and I’ll give you that it ain’t cheap. But it surely couldn’t be that everything is terrible. Take a minute to enjoy something. That place is CLEAN. Like, a first time Mom that’s a germaphobe could probably let a baby eat a cracker off the floor kind of clean. And there is such a meticulous attention to detail there’s lots for your eyes to enjoy everywhere you go. Chad could spend hours just checking out the plant life – but he’s a nerd like that, so I cede that isn’t everyone’s jam. I just don’t know how someone could HATE absolutely EVERYTHING about Disneyland. So I’ve got to assume this chick needed an attitude adjustment. If you’re grumpy and miserable, nothing’s going to make you happy – not even a corn dog or a pineapple Dole whip! Okay, this may be controversial. But YES, parenting CAN have an influence on how your kids behave. It would be lovely to think that it was all a crapshoot and we were never responsible for our kids bad behavior, but tragically, it’s not true. My husband does storytime with the Bigs before bed while I’m dressing/diapering/feeding the baby for her bedtime. Recently, I’ve overheard him reading “The Berenstein Bears Get the Gimmies” and talking to them about the Gimmies (“gimme this toy” and “gimme that candy” type of stuff). I was always like, “Hell yeah! Teach the kids to knock it off with the Gimmies!” Then one day my kids asked me to read the book. And, spoiler alert, it’s totally the parents’ fault that Brother and Sister Bear have the Gimmies in the first place! SO, moral of the story: Parenting. Dang it. The most commonly used four words to end a sentence at Disneyland? “….Or we’re going home!” As in, “knock it of or….” and “stay in the stroller or…” and “stop licking your sister or…..” And guess what? The kids know that it’s all BS! Cause you’re not gonna do it. So your threats mean nothing. Find a threat you can stick to. There with multiple adults? How about “….or you can’t go on X ride.” Yep, cause let me tell you, you only need to make Evie sit aside and NOT ride The Little Mermaid about once before she realizes you’re not playing. My kids will never remember where they left their shoes, but they will never forget that time their siblings got to ride without them. 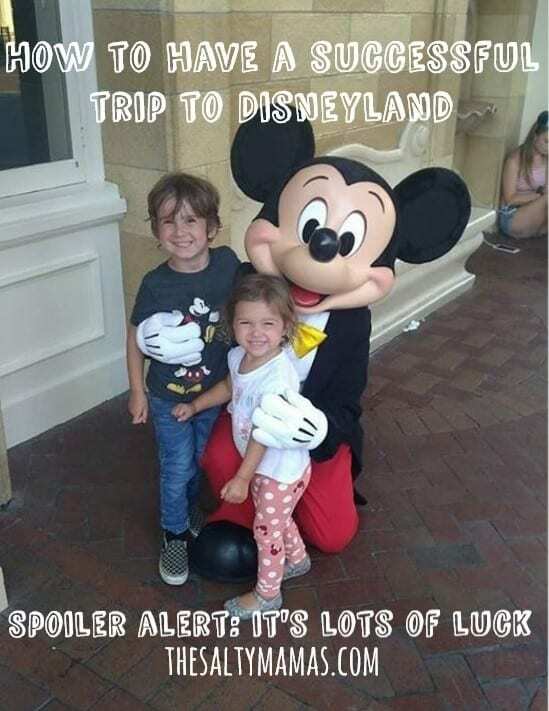 Will this one trick solve all of your Disneyland woe’s? No. But don’t let your awesome parenting lag just because you’re shelling out a downpayment on a car to meet a mouse in a costume. Look, it may have seemed like I talk a big game back there in the ol’ “Parenting” section. But let’s be clear. I don’t actually know what the F I’m doing. I also know that you can be a black belt ninja in parenting and still have the world go against you. Good parenting cannot make sure you get the exact color Teacup your son will die without getting. Good parenting does not prevent your daughter from spilling her brand new popcorn all over the place. Good parenting does not help when your 2 year old is to small to go on all the “good rides” her 4 year old brother is going on and the ONLY thing in the world that will make it better is riding on The Little Mermaid ride – again – and it breaks right before she gets on. In that case? You’re just screwed. Use all your tricks, bribes, food, distractions and pray you can turn that juju around, because luck is definitely the most critical component for success. 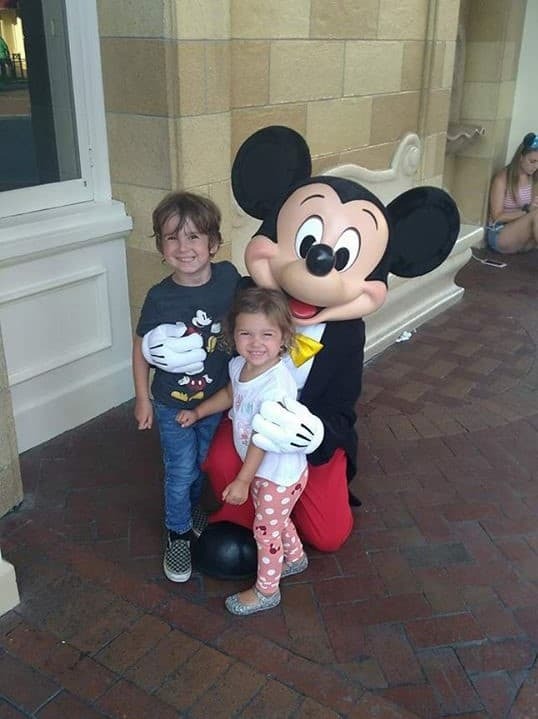 But, if you have a great attitude and you find your inner parenting blackbelt and karma is on your side, maybe just maybe you can get a great day at Disneyland. I laughed when I read the Luck section. I could tell you some Disney horror stories from my childhood. Great post, I thoroughly enjoyed it. 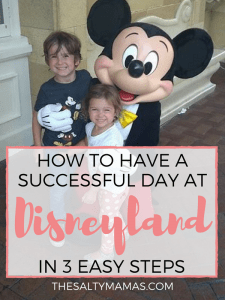 These three things are definitely important for a good day Disney (or anywhere!) I LOVE Disneyland and can’t imagine someone being grumpy about it. It’s freaking magical! Good for you for not letting a grump ruin your fun. So glad you had a good time! I’m gonna try these principles at the zoo this week too – hoping we get lucky again!!! You hit the nail on the head lol. It definitely comes don to luck. I have taken my child to her favorite place, she gets there and acts like a little stink! Thank goodness that doesn’t happen much anymore. These kids, I tell ya lol. Us too!! When you wish upon a star your dreams can come true! Haha! All true. I lived in Florida for many years so saw plenty of meltdowns at Disney and other theme parks. Another thing I remember is to lower MY expectations. Yes, these parks are expensive but that’s not going to turn a normally wandering child into a sprint-to-every-ride child. So what if you don’t see everything? Go back to the hotel for naps if you can. Excellent advice!! Better to ENJOY the things you do get to than be stressed about what you might not get to! !